Now if we get this one, Matthews Southwest High School Tower and the Brewery Building we've got possibly another 800-1,000 residents downtown! That brewery project looks to be dead. Redblock wrote: The parking lot is blocked off today. Yay!! I remember them saying a Summer start was what they were shooting for. With this and Hall the Arts District will finally feel cohesive. I wish there was space to work in a modern art museum somewhere though. 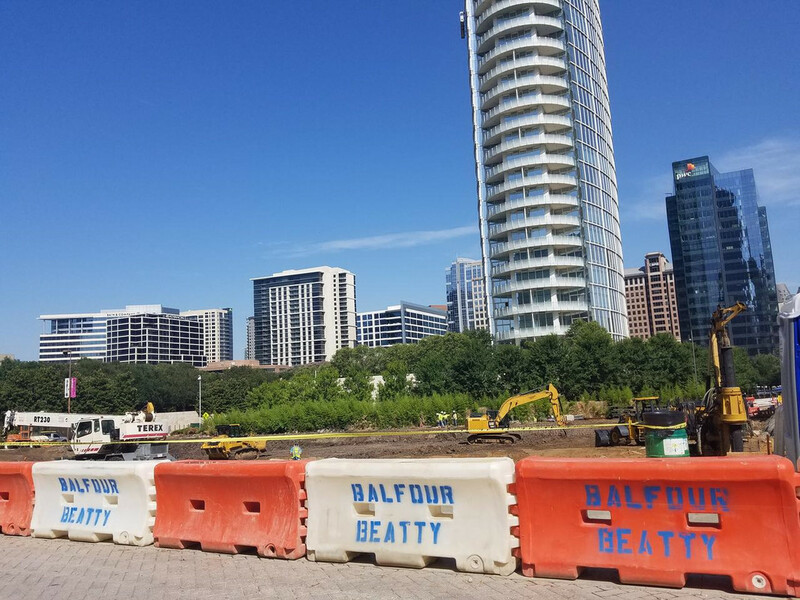 ^Before Perot pulled it to the otherside of the highway, Billingsley was on tap to donate One, Two and Three Arts Plaza real estate for a new Natural Science Museum -- a location I think would have been far superior to the one next to Victory Park. A half oval around the historic church might be pretty sweet for a modern art museum. The city performance venue still has phase two and three so maybe that whole deal could become a modern art museum, with a new city performance venue moved to Deep Ellum/Exposition Park. I still cannot believe neither Dallas nor Fort Worth have a Latin American Museum, the cultural center would have been a good start, but it's not supposed to be the start and finish. Just to check, La Reunion and whoever is still going to have resident artists living in the Flora & Olive tower, right? Finally! This is a big one! Nice to see 40 or 40 plus towers going up downtown. I went by the site earlier. The light posts are taken down and they've got some equipment to dig up the lot onsite. This is my most anticpated tower to infill the Arts District. Can't wait to see it rise! I imagine the lot will be fenced off soon. One more surface lot retired. ^ A very important, impactful lot retirement at that! Behind those four lots at Field and San Jacinto, I've felt like this was the lot that most needed to go and I'm so thankful it finally is. With this tower going up, it would be cool if the Meyerson would remove the wall and open up their plaza facing Pearl. Sadly I still can't fall in love with the architecture of this tower but the fact it's residential, has good Flora street frontage and fills in a parking lot is what gives it a thumbs up from me. mdg109 wrote: With this tower going up, it would be cool if the Meyerson would remove the wall and open up their plaza facing Pearl. 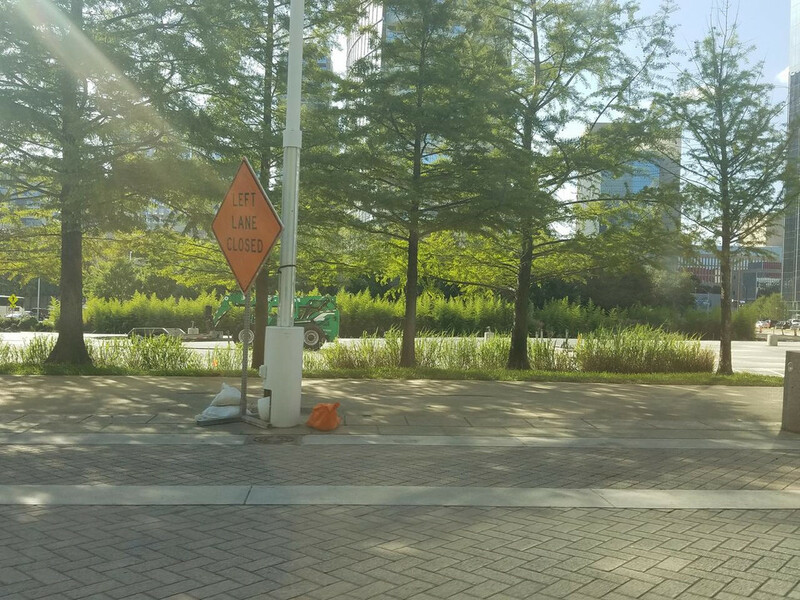 Considering Pearl is a high-speed roadway with the city making no attempt to improve its pedestrian safety I see no reason for Meyerson to take down the wall that ultimately keeps their garden side quieter and serene. If the Meyerson wants to propose the wall takedown as part of a bigger project the city can contribute to I am all aboard but I imagine until the new Arts District masterplan is finished not much should change or will change. I can't remember if this was part of the Arts District master plan or just a recommendation. IF they somehow shrunk Pearl a bit....is it conceivable that the wall could come down, the sidewalk area expanded and a living berm installed to absorb road noise as well as provide green space? This would be much more attractive, and provide a large piece of greenery desperately needed along Pearl. All streets downtown need traffic to be slowed. I swear some people think they are on the DNT speeding at 60mph down Elm and other streets. Reduce speed limits across the board and ENFORCE them. I never see any of the speeders downtown getting pulled over. On the one hand, I hate how big the roads are in the CBD, but, on the other hand, it does gives us a lot of room to convert some lanes to wider side-walks, bus only lanes, bike lanes, etc.. I'm sure it's only a matter of time before some sort of change is made on most of the streets. Unfortunately it doesn't seem like it will happen soon, but I have no doubt that Pearl (along with other roads) will see some very pedestrian friendly improvements in the future. "More than 50 affordable artists' lofts in the project on Flora Street will come later." That worries me a bit. Hopefully it's not like the bait and switch that might be happening at the 2000 Ross parking gara... ermmm development. Where will the artists lofts be located if they are coming later? That lot isnt huge, so I imagine theyd be built into the overall construction of the building, right? The article also mentions 41 floors, not the 39 that was mentioned in previous articles. Does anyone know if the actual height will be taller than the 441 feet? R1070 wrote: Where will the artists lofts be located if they are coming later? That lot isnt huge, so I imagine theyd be built into the overall construction of the building, right? As to the floor count, there's an even better chance it's still 39 stories and this is just Steve getting carried away. I have gone back and looked at renderings, pictures, counted floors and keep coming up with 39. The Artists Lofts are actually stick built apartment product that wrap around and conceal the parking garage, and face Flora. The retail sits below those, in the stick built apartment portion. So theoretically, they could be built at separate times. Without them, It would just be an exposed parking garage on the bottom portion. Since the developers aren't from Dallas, maybe the Dallas developer bait and switch won't happen but I'm staying vigilant. The lofts have different owners than the tower and the article indicates separate financing as well. So it seems quite plausible that the lofts could be built separately, later or, heaven forbid, not at all. Articles about the lofts have said they are using public financing for affordable housing in part, which takes longer. I am just wondering if that has been what has delayed the whole project, and the tower developers got (understandably) impatient and decided to move forward on their own. There is some risk in this. 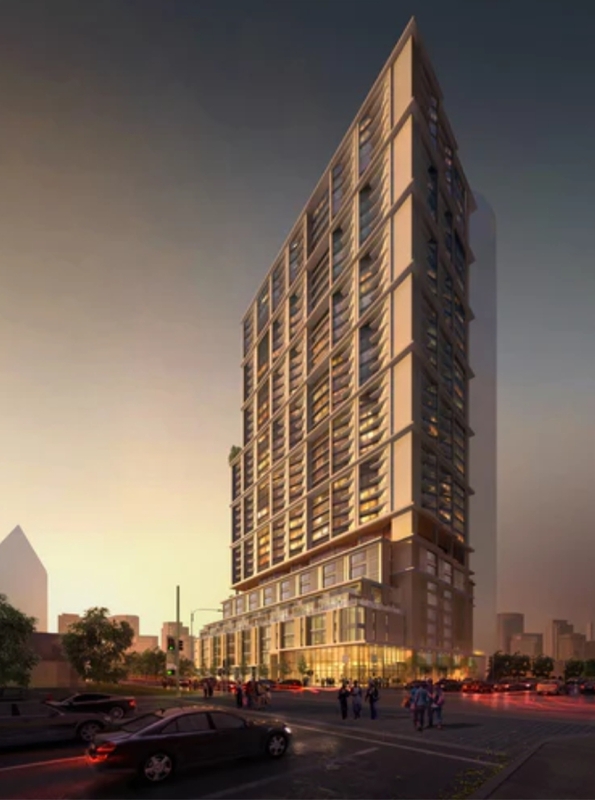 If the lofts aren’t built and the tower has an exposed parking garage facing Flora, the project will be decidedly less attractive. This is pure speculation, but if I were developing the tower, I would take an option on the land for the lofts so I could complete the project if the other owners fail. willyk wrote: The lofts have different owners than the tower and the article indicates separate financing as well. So it seems quite plausible that the lofts could be built separately, later or, heaven forbid, not at all. I would imagine it wouldn't be that bad. Probably more like what happened to Parkside condominiums that were built facing Kylde Warren where the exterior shell was built out but internal walls were not built until later. After all not building the shell exterior would mean a bunch of support infrastructure would be exposed and the simple fact that it would put the apartments and retail space in some form of a safety hazard and immediate danger would become an issue. The lot is pretty much cleared with partial fencing up and a large white tent for a groundbreaking. Yeah, I meant to post yesterday but on my way home I saw them setting up the big white tent for the groundbreaking. 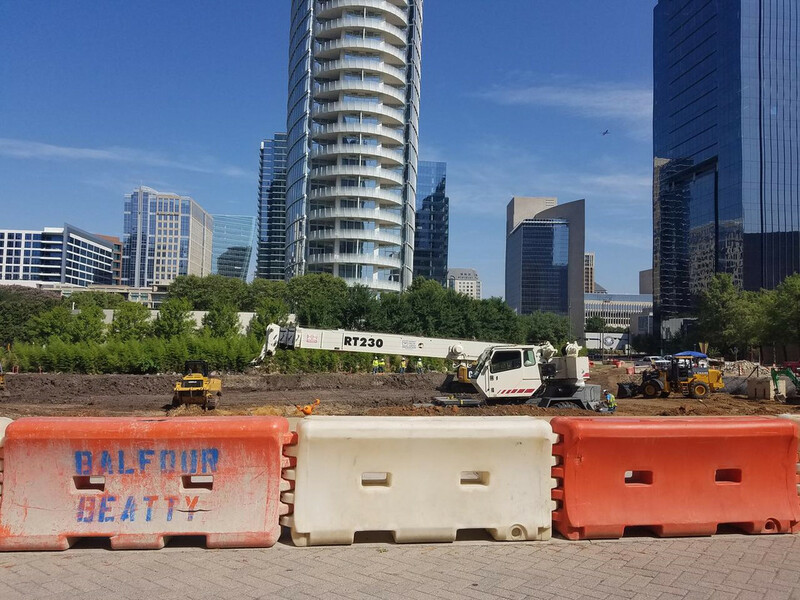 "After years of waiting, developers are set to break ground today on Atelier, which in its most recent incarnation is a 41-story luxury high‐rise in the Dallas Arts District." So I guess this confirms the new floor count. Also it sounds like the old render that keeps showing up on articles is not accurate anymore. Guess we will find out when they top out. How come they are marketing this as the tallest apartment rental tower in Dallas? Isn't AMLI fountain place going to be a few stories taller? Love seeing this surface lot get demolished. Now the excitement can officially begin! They are digging below grade now. R1070 wrote: They are digging below grade now. Didn't think we would see another skyline-altering tower on the downtown side this cycle and now we're getting two. Knock on wood that we keep this momentum in time for the towers to finish and not end up with an unfinished Stoneleigh condos for several years. Since these are for lease apartments and not condos that should not happen very different developer business plans. Last edited by maconahey on 13 Jul 2018 17:28, edited 1 time in total. It this was bumped up to 41 floors...I wonder what the new height is. R1070 wrote: It this was bumped up to 41 floors...I wonder what the new height is.